Ben Simmons has ​never hit a three-pointer in his NBA career, having gone 0-for-13 in his two seasons in the league. The 76ers star is a talented playmaker but has yet to develop a serviceable jumper. Don't worry though, he's testing it out on Sunday! Simmons decided to let one fly in the game against the ​Lakers​, and while it missed, the shot wasn't half bad. ​​​Simmons' is still shooting 0 percent from beyond the arc, but that didn't stop NBA fans from losing their minds over the fact that he took the shot. The 22-year-old has been known to pass up open threes in order to facilitate for his team, but not this time. Give us more, Ben! The reaction on Twitter was surreal with multiple beat writers and fans shocked that he actually made the attempt. 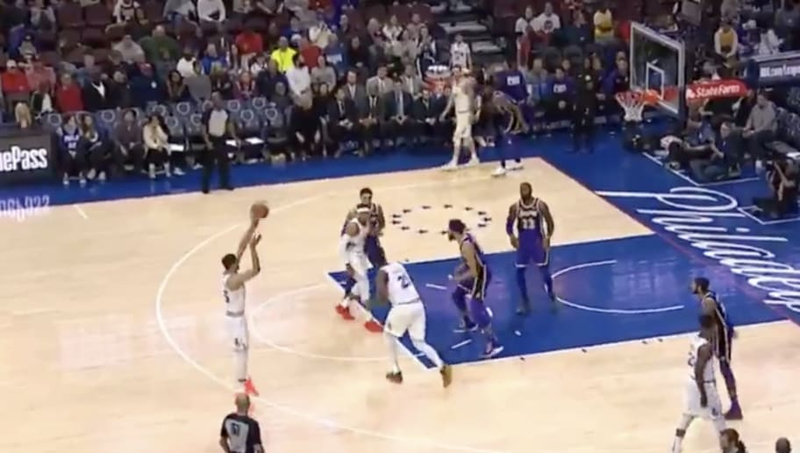 Whoa - Ben Simmons just decided to pull up from 3 out of nowhere, and almost made it, too. That was a surprise. It was Simmons' third three-point opportunity of the season, all of which he's missed. Still, fans are encouraging the ​76ers star to keep working on his shot because everyone wants to see his game develop so he can entertain us even more. If this is the reaction for Simmons attempting a three, we can't wait until the 22-year-old actually makes one. The entire league would go on hold for a day in order to celebrate the monumental occurrence.